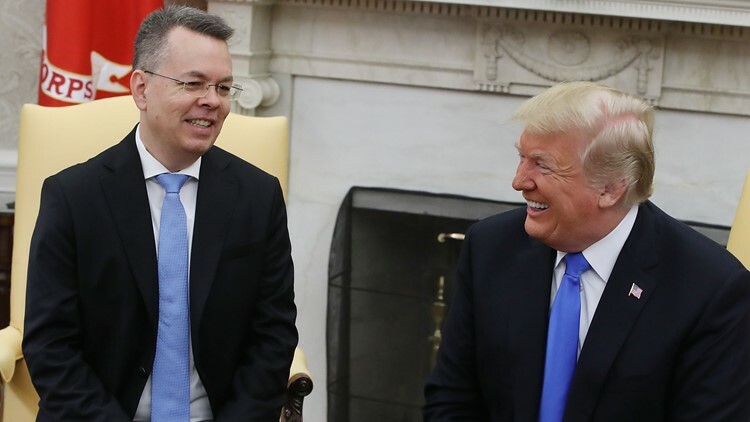 U.S. President Donald Trump welcomes American evangelical Christian preacher Andrew Brunson (L) to the Oval Office a day after Brunson was released from a Turkish jail, at the White House on October 13, 2018 in Washington, DC. Andrew Brunson thanked Trump for working to secure his freedom and then lead his family in prayer for the president. Brunson, who returned to the United States aboard a military jet shortly before their meeting, appeared to be in good health and good spirits. He thanked Trump for working to secure his freedom and then lead his family in prayer for the president. "You really fought for us," he told Trump. 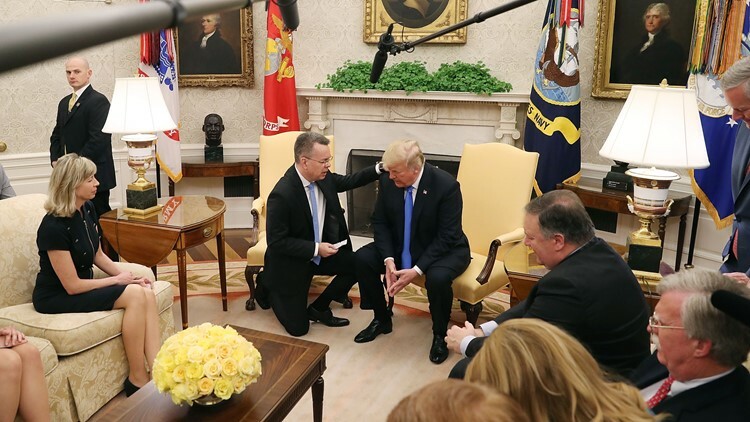 U.S. President Donald Trump and American evangelical Christian preacher Andrew Brunson (L) participate in a prayer a day after Brunson was released from a Turkish jail, in the Oval Office, on October 13, 2018 in Washington, DC. 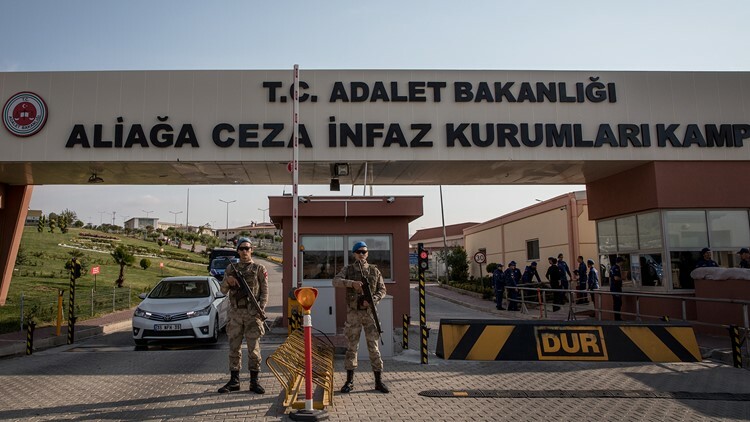 Turkish soldiers stand guard outside the entrance to Aliaga Prison Court after American pastor Andrew Brunson arrived ahead of his court hearing on October 12, 2018 in Izmir, Turkey.